Inflatables have long been a staple of crowd fun at football matches and music concerts. Granted, you can probably have the same amount of fun, more cheaply, by trying to keep a simple balloon in the air, but lets take it up a few notches. 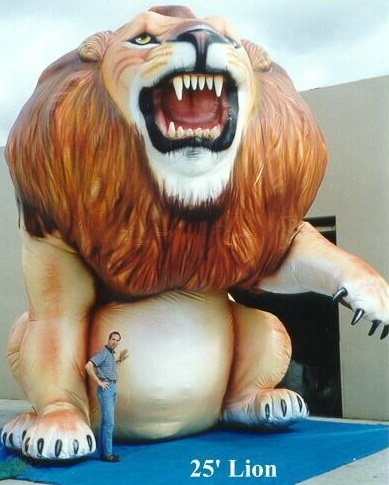 Embracing the Villa lion, MOMS has located this 25ft tall inflatable fierce giant lion (see below), perfect for the Holte End to scare opponents shitless! It’s in America, so maybe we can get brother Tom Hanks to pay for it and to ship it over for us. 2. 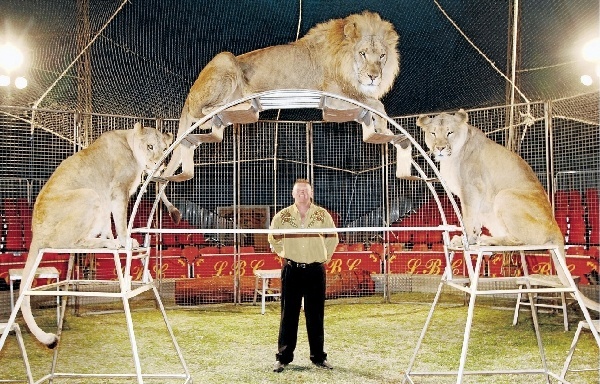 Bring Alex McLeish back to Villa in a new role. Has Alex McLeish finally found a new job? If he has, maybe Randy should give McLeish one more chance at trying to contribute to the Villa Park atmosphere! The last game of the season, where the fan’s tradition is to come in fancy dress, always brings a great and sometimes surreal atmosphere to Villa games. 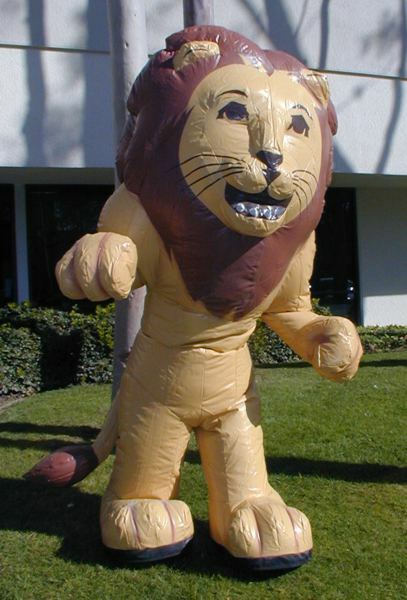 What if Randy Lerner could make a little investment and as part of the season ticket bonus pack of freebies, the club could include one of these inflatable lion suits to wear at games? Like a life vest on an aeroplane, it could be attached under your seat at Villa Park, just pull a cord to self-inflate and then put it on before the game kicks off. Any team, turning up to play at Villa Park, would look around the stadium and see themselves surrounded by thousands of lions. Three-points for the Villa, pretty much guaranteed every time! Actually, this is more for Villa away games. The throwing of toilet rolls was a fun tradition of the terraces that seems to have been lost in recent years. 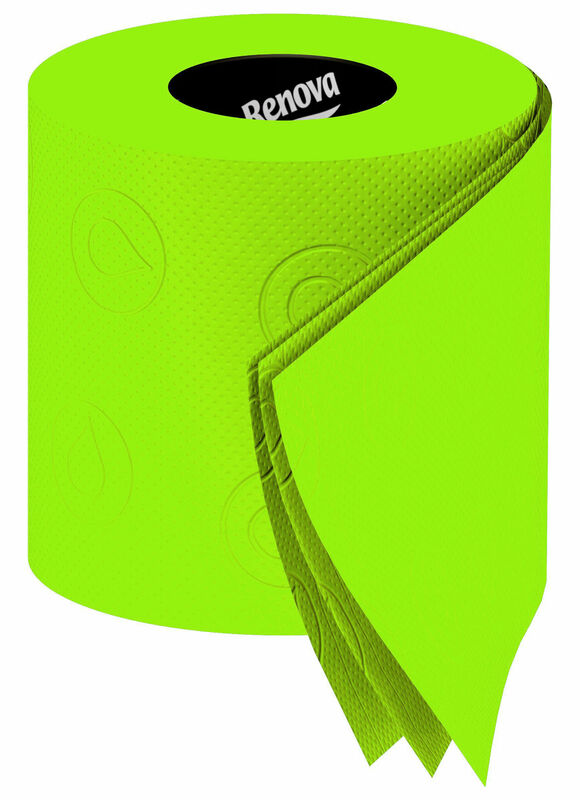 Well, on discovering there is a company that actually does fancy lime glow-in-the-dark toilet paper to match Villa’s former alternative away kit, now seems like a great time to bring the tradition back. They also do claret and sky blue rolls for home games. Result. If you have any other crazy ideas, the more surreal the better, please add them in the comments below with any links to photos. Any good ones, I’ll add to this post. PS – ‘A Venglos View’ is a MOMS column of a satirical nature. You have been warned! The displays where you get the crowd all to hold up a sheet and make an image are good. Some form of Villa song would be great as well, it’d be nice for us to have our own never walk alone type thing. A Villa band, the same as the england pukka pies band that follows England everywhere always creating an atmosphere but instead its a Villa version? I think the Brigada used to have a drum, but that was banned. Any other out there ideas? I’ve had a go at anthem – tune is Reptilia by The Strokes – not.obvious, needs some work but we could go somewhere with this? Haha. 10 out of 10 for effort. I know the original song, but you need something with a big old sing-a-long chorus. I’m surprised we haven’t got a song that has stood the test of time, as it’s difficult to just adopt one out of nowhere.